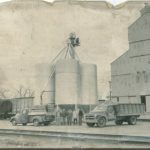 Arrow Seed was established in Broken Bow, Nebraska in 1946. 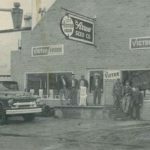 The company has been under the same family ownership since 1954. Facilities include 60,000 square feet of seed conditioning, distribution and retail space located in Broken Bow. While forage legumes, grasses, and forage and grain sorghums are a major part of the business, related lines of food plots and cover crops are increasingly important to the company and its customers. 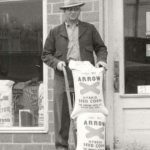 Arrow Seed conditions and packages seeds that are well adapted to the area and purchases seed from established companies in other states of those species that cannot be produced economically in Nebraska. As many as 32 different seed species have been conditioned through company facilities in a year’s time. Seed packaging includes the capability to package in small pack bags, bags, totes, and bulk. An up-to-date seed cleaning plant efficiently cleans seed crops of legumes, small grains, grasses, sorghums, and millet. Strict seed handling systems and procedures prevent contamination. Equipment is in place to utilize all physical properties of seed in the conditioning process a product to meet the high standards necessary to carry the ARROW SEED tag. Forage, Small Grain, and Turfgrass Products are provided to over 150 dealers in Nebraska, Kansas, Colorado, and South Dakota. Food Plot Mixes are distributed through a network of Pro-shops, land managers, and retail stores in the Eastern half of the US. Other customers include government agencies, golf courses, landscape contractors, and other seed companies. 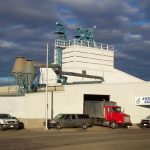 As an independent supplier, Arrow Seed selects seed varieties from top breeding programs for performance and adaptation to the Central Plains. The seeds and other products marketed are selected after a thorough and careful evaluation process. Arrow Seed is responsive. Timely availability of products is critical to ag producers. Distribution is strategically located in the center of the service area. Arrow Seed can react quickly to seasonal changes in crop needs. Storage facilities provide adequate space for ample inventories and the company owned truck fleet allows for timely deliveries.